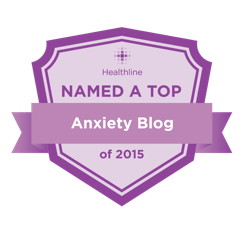 In the first three posts in this series, I provided an explanation of the fear called emetophobia and described the two elements of treatment: exposure and response prevention. We have finally completely the emetophobia supplement and the step-by-step process and hierarchy are part of that program. We have 5 steps for emetophobia help and each step is broken into several tasks. In the emetophobia supplement we start with exposure that is in the imagination. We use words, sentences and short stories that will trigger the fearful thoughts about throwing up. For most kids this is the easiest way to start the exposure process. We also provide the all the content you need. In this part of the program we use cartoons, pictures and photos so you child can gradually face and learn to tolerate their anxiety. We have carefully developed a gradual hierarchy to keep things from getting too overwhelming. We have done this so many times we are confident that these steps will work for most kids. We start these steps with video cartoons that are available on the web. Then we gradually move toward more difficult videos of people. It is really amazing to see kids watch these with less alarm then they had when we first started with single words. In this part of the supplement we describe how you can help your child do exposures in actual situations that would previously be avoided. It is actually pretty rare that kids need these interoceptive exposures by this point in the process. However, we cover everything you might need if you child’s anxiety requires some additional work. Sometimes anxiety disorders will return and we give you guidelines and information about how to reduce this and what to do if it happens. I want to credit the excellent site by Anna Christie, BA, M.Div., RCC, who has been a pioneer in treating this phobia. Here is an excerpt from the guide that comes with the supplemental program. Check out this TV interview with Dr. Chris McCarthy regarding simple things you can do that fosters your child’s mental development. I have a 12-year-old daughter and she has been dealing with an extreme anxiety disorder triggered by vomiting. It really hit her hard at the end of last school year and we have been dealing with it ever since. She stays very busy with school, sports, and church activities lately that she doesn’t have much time to dwell on it so it seems to be better for now. We bought the CD set from your company and listened to them with her, had her in therapy, and continue to work with her when her anxiety levels get triggered. Thank you so much for recognizing that this condition is real and helping me to understand it better so I can help her better. I do hope that you are able to put a CD out directly related to emetophobia and look forward to any additional resources you share. My 13YO fears the sensation she feels just prior to vomiting. The triggers and safety behaviors are dead-on to what you have described in this series. She doesn’t fear actually vomiting, and shows no discomfort with saying the words or phrases. She’s disgusted by the pictures and videos, but they don’t appear to raise her anxiety level. Her sister vomited at the dinner table, but she still ate her dinner because she rationalized that since the vomit was from gagging she couldn’t catch it. What will increase her anxiety is if she’s around someone who has been sick. Eating food that may be contaminated is a huge issue for her. We’ve traced this fear back to a case of food poisoning when she was 6YO at a county fair. Does something like this still fall under the emetophobia umbrella? Is there a way to tweak the exposure steps accordingly? For now, my husband and I have decided to work on exposing her to foods that she’s deemed ‘more likely to be unsafe’ – such as meat. A few nights we put a couple pieces of chicken on her napkin. Then a few nights on the side of her plate. We’re planning to progress to getting it on her fork, then in her mouth (spitting it out), then maybe chewing then spitting, hopefully ultimately swallowing it. If we can get her comfortable with one food, we’ll try introducing the next in the list. Ultimately we hope to move these steps to a restaurant. Does this makes sense? We’re currently bringing her to a therapist weekly, and she’s been great. She’s one of the few ‘strangers’ that my daughter will make an effort to talk to. But she’s navigating the emetophobia waters as we are, so I would love to hear your take on it as well as someone that has counseled extensively on it. I apologize for the long post, and thank you for your time. This is a great question. Her fear may not fall under the emetophobia umbrella but it is certainly very close. It is only important because you have to find the core or underlying fear. Seems from what you wrote her fear is more about getting sick and the sensations about it. Essentially you have to discover things that will trigger her fear and gradually expose her to them. You seem on the right track with the “unsafe” foods. I like your plan. Is there anything else she avoids or has safety behaviors around? I describe discovering and listing these in my post “How to get your anxious child back to school step-by-step.” Once you have that list then develop steps just like you are doing with chicken. If she is avoiding the sensations prior to vomiting then you can have her do something called an interoceptive exposure. That is when you create the internal feelings connected to the fear. For example, you can have her spin to possibly create an upset stomach feeling. Hope this helps. Write back if you have additional questions. Hi Donna, anxiety does travel in families so the history is probably a factor. However, heredity only makes someone more vulnerable to developing an anxiety problem. Fear of vomiting is very common. Far more common and less understood than one would expect. The program is for ages 6-12 and would be age appropriate for her. We are almost ready to release our supplement on this very problem. Often the basic program is enough for this but for more severe situations we have a supplement coming out. Thanks for your interest! Your granddaughter can get over this, hang in there. My 12 year old daughter has a fear of vomiting with the most frightening aspect for her being a fear of vomiting in front of other people (particularly school friends/classmates). I have been thinking very seriously about exposure therapy for her but I am also not 100% sure that her fear lies completely under emetophobia or not. She has panic attacks prior to school each day, refuses to catch the bus or sleep over at friends houses. Her panic attacks have been so bad before school sometimes that she has actually vomited from anxiety which has really dented her confidence in her body. I am also very interested in your emetophobia supplement for the turnaround program. Thank you for your site and the valuable discussion in these posts.